I had tried a few Ubuntu forks and even CentOS at that time, but still I could not understand the post. Apparently the Linux vets in the thread thought it was an incredible funny joke but I was left clueless. Understand this funny joke about some “wiki”. Downloading Arch and setting up virtualbox was as easy as all other distros I’ve tried. Enabling EFI is just checking the box under motherboard at virtualbox. After a few minutes I was already booting and I would soon be a few clicks away from installing Arch. But wait a minute… isn’t there something missing from the menu? Where is the install option? 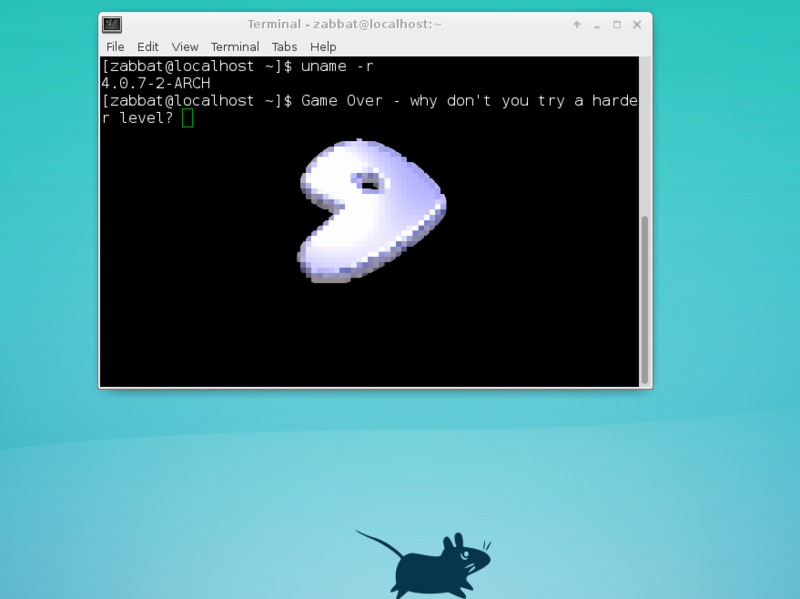 Starting Arch Linux archiso just boot you into a Console. What am I supposed to do from here? Not even my keyboard layout is correct. The first hits on google for “install arch” takes you to the Arch wiki. While even the beginners guide is a few pages long, it is excellent written for an inexperienced Linux user like me. I don’t think I ever learned so much about Linux in a single day as when I tried to make my boot partition (Wait, what, so my drive is just a file? Aaaaah!). That ‘simple’ stings in my pride every time I have to check the wiki. As this was the first time I did partitioning it did take me a while to understand how to set up a UEFI boot partition. But this is one of the reason why I love VM: I am quite ruthless to my poor computer and I rather try what I think is right than keep reading. This often makes me learn faster – however you don’t really want to do this when you are partitioning your HD. At least not if you have another OS installed like me. With VM I don’t need to care. I might write in another post how to set up a UEFI boot with virtualbox, it had some other nice effects like increased screen resolution in console mode. The trick is to create a partition with GPT and fat32. After mounting and chroot ( another new concept I learned today) you do a pacstrap. pacstrap basically downloads Linux to your newly set up partitions. What impress me is that with the -i options you can even choose what packages you want to include, Arch is really flexible! Then time to reboot. Linux finally! Ok, perhaps not yet. But after a few more hours I accomplished my first goal. I like lightweight desktops so I decided I’d try xfce. First you had to install xorg-server and some vesa drivers (since I’m on virtualbox I had to use a generic driver). However trying to start the desktop just generated the error “Can’t find any screens”. I got a bit worried that it would not be possible to load xfce with generic drivers, but as I troubleshooting I finally found the error: failed to load module vboxvideo. Well of course, I hadn’t installed the guest additions! Installing the guest additions was a bit different than for Ubuntu, but just as easy. Finally the desktop starts… I made it! I beat the game! Or…? I recommend everyone who have been using Linux as desktop for a year or two to install Arch. You will learn a lot about Linux that I think is very difficult to do without practical experience. And it is fun! Well, like all games you do get tired of it after the first few runs, but right now there’s many more things to explore.